Air Force Museum in Monino. So far in Russian only. Lubuskie Military Museum - Drzonow, Poland. Info and photos! Il'yushin Museum. In English and Russian. A 3-D view of the museum is available on the site. Museum of the123rd Aircraft Repair Factory. ����� 123-�� ����������-���������� ������ The plant itself also has many good photos. Abandoned, Forgotten & Little Known Airfields in Europe -- Frunze. More commonly known as Khodynka, a large selection of photos of the aircraft there is available at The Plane Cemetery at Khodynka Field. Polish Avation Museum. A few photos of Russian aircraft from the museum. Yakutia Aviation Museum. In Russian. A number of photos from the museum are available. Airplane Pictures. A large collection of photos of modern Russian aircraft, page after page of them. Click the smaller image to see the full-sized picture. DAUTREMONT Pages. 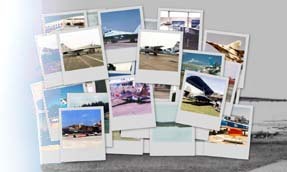 Several photographers have contributed to this unnamed site, which includes both Russian and non-Russian aircraft photos, all unique. Drawings. Dozens of drawings of Soviet and Russian aircraft to download in ZIP format, but the lists are in Russian after the first page. PHOTOVAULT AVIATION Museum. Somewhat difficult to navigate. Tons of photos, though. Russian Aviation Museum Excellent source, maintained by Alexandre Savine. Pages load slowly. Russian Aircraft Museum by Bearcraft On-Line. Links were not working as of 22 September 2018. Virtual Aircraft Museum / USSR / Russia Photos and lots of information taken from Wikepedia.